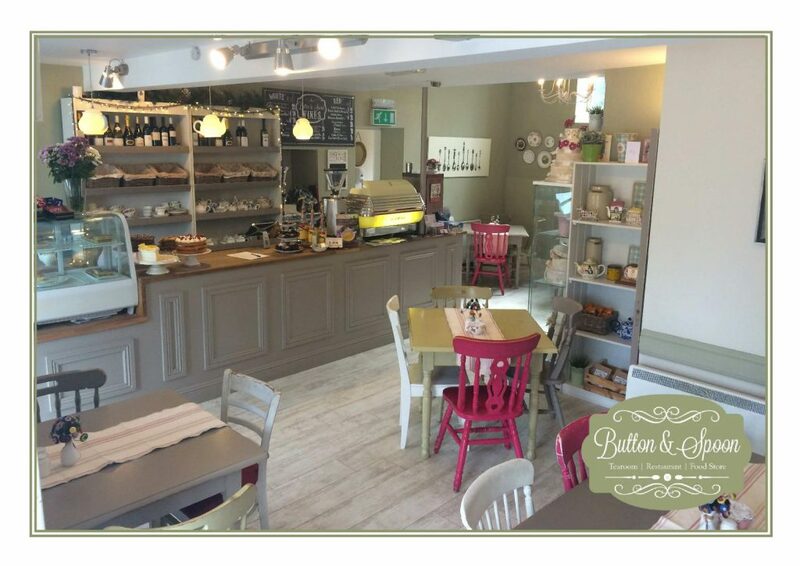 Button & Spoon is a vintage style tearoom in the heart of Bridgetown, County Wexford. We serve a full breakfast, lunch and bistro-style dinner menu focusing on an almost entirely cook-from-scratch ethos, using ingredients sourced from local suppliers. Button & Spoon is also synonymous with traditional style luscious cakes, scones and freshly baked breads, which adorn our counter-top every day, straight from the oven. Button & Spoon are proud members of Good Food Ireland and won Wexford’s ‘Start-Up Business of the Year’ Award in 2015. The tearoom forms an integral part of this busy village and is open six days per week (from Tuesday to Sunday). Making a reservation is recommended to avoid disappointment. Find out more about Button & Spoon on our Facebook page. Website: Click here to visit Button & Spoon’s website.